As the American Legislative Exchange Council (ALEC) prepares to release its 2014 version of Rich States, Poor States, Good Jobs First and the Iowa Policy Project remind the news media that the ALEC report’s track record is poor. State tax and regulatory policies recommended by ALEC don’t just fail to promote stronger job creation or income growth—by some measures, they actually predict a worse performance. In Selling Snake Oil to the States, published in late 2012, Dr. Peter Fisher showed that since ALEC first published its annual Rich States, Poor States study in 2007, states that were ranked better have actually done worse economically. In Grading Places: What Do the Business Climate Rankings Really Tell Us?, published in May 2013, Fisher updated his analysis of the methodology of Dr. Arthur Laffer et al to cover ALEC’s 2013 version. He found that ALEC’s prescriptions failed to predict superior job creation, rising personal incomes, GDP growth, or state and local revenue growth. Fisher’s studies dissects the methodology used by ALEC’s lead author Laffer and his co-authors. They find that Rich States, Poor States’ arguments and evidence range from deeply flawed to nonexistent, consistently ignoring decades of peer-reviewed academic research. Instead, Laffer et al repeatedly engage in methodologically primitive approaches such as two-factor correlations and comparing arbitrary small numbers of states instead of all 50. Via Good Jobs First. 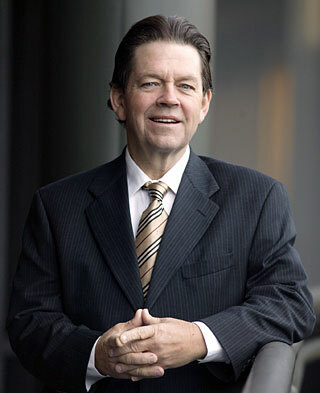 Read more about Laffer’s failed economic predictions from EOI’s Aaron Keating in his blog Arthur Laffer’s economic predictions worse than a coin flip.